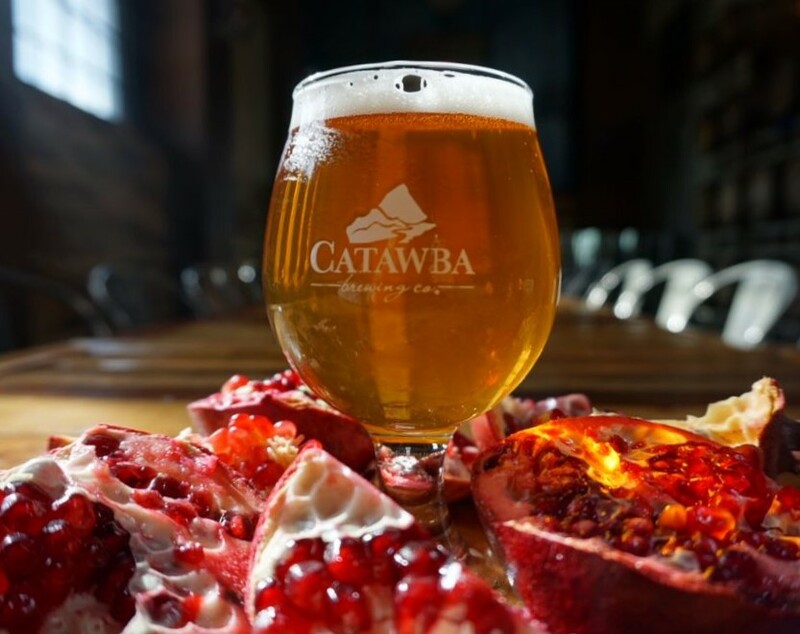 (Morganton, NC) – Catawba Brewing taps a Small Batch Pomegranate Sour Ale (6.7 percent ABV) on Thursday, February 15. Brewed with malted wheat, the beer was soured in the kettle with lactobacillus. An addition of ripe pomegranate in secondary fermentation lends refreshing tartness and bright cherry-like fruit notes, complemented by the clean kettle sour base. This is Passport Beer #7 in Catawba’s 2018 Small Batch rewards program. Brewed in their Asheville South Slope brewhouse, the beer is available exclusively in Catawba’s four tasting rooms.